All taxi ranks in the Western Cape will be shut down if the spate of taxi violence that has claimed 45 lives continues, Bheki Cele warns. 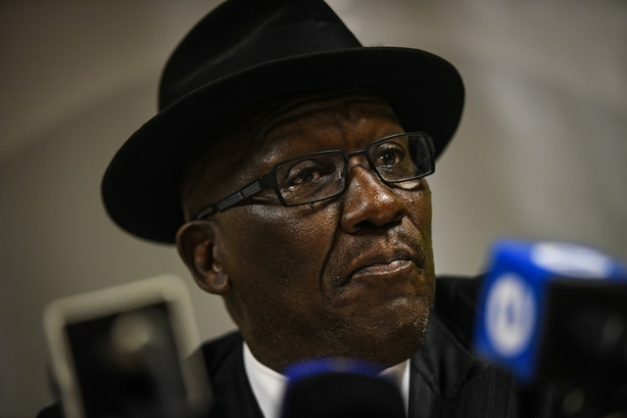 Bheki Cele has threatened to instigate a shutdown of all taxi ranks in the Western Cape if killings in the industry don’t stop in the province. According to the minister of police, 45 people have been killed in violence linked to the taxi industry since April of this year alone. “And June has not ended, which means it could be more,” he added. The figure is more than double the reported number for the same time period in the previous year, when 20 people were killed. Cele said a dedicated team of detectives would be set up to investigate the taxi violence, The Times has reported. “As government, we need to rise and protect the vulnerable. We cannot allow a situation of bloodshed and lawlessness on our roads. The full might of the law will be felt and heard in all corners‚” Cele said after a crisis meeting in Cape Town on Sunday. Cele met taxi bosses on Sunday with his deputy‚ Bongani Mkongi‚ deputy transport minister Sindiswe Chikunga and Western Cape MECs Dan Plato (community safety) and Donald Grant (transport).